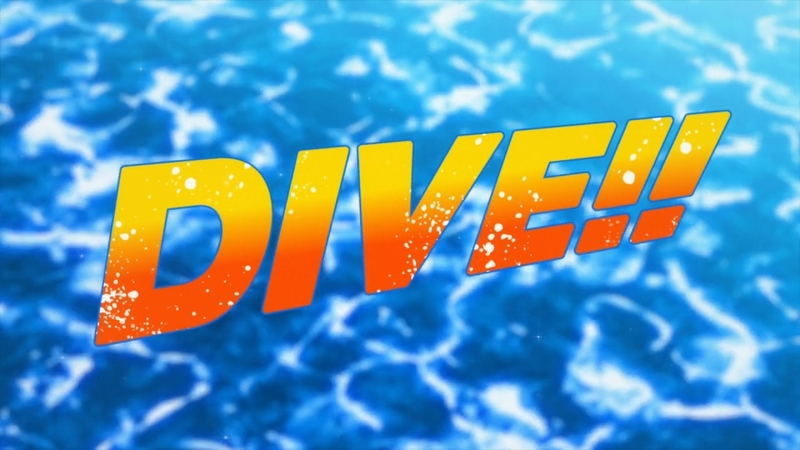 Tomoki Sakai is a middle school boy obsessed with diving and with his senior Yoichi, who got him into the sport. Now though his club is in danger of being shut down, and the members are going to have to rally together to save it. This was not as bad as I feared, but it’s so utterly generic that it’s nearly impossible to endorse. All of the classic sports cliches are here – the distant senapi who’s not a jerk, he’s just ultra focused on his goal, the threat of the club being shut down unless everyone dives real good, the sassy new coach who’s going to pull them out of a rut. They at least do a good job of setting up multiple plot threads, but all of those threads are so unoriginal it’s difficult to care about any of them. The one thing that does genuinely intrigue me though is Tomoki’s bogus relationship with his girlfriend, which has some real potential to go uncomfortable places. I don’t have much confidence that they’ll do it, but it’s by far the most interesting and character based story the show seemingly has to offer. 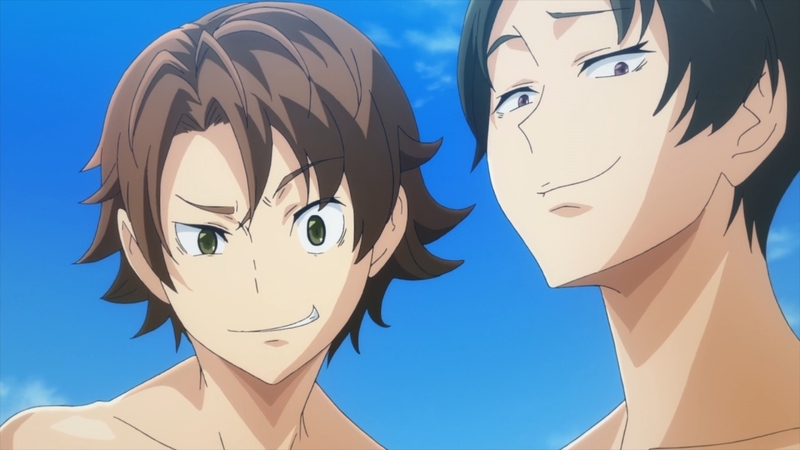 I’ll also note making the characters middle-school aged makes some of the ridiculous ab displays and beefcake-y fanservice a touch on the creepier side, though your mileage may vary of course. Overall, not a disaster but with little to make it stand out. This wants to be Free so hard, but instead manages to just be supremely boring. All the usual sports anime cliches are hanging out in all the usual places, but an engaging show that does not make; there has to be some amount of interesting execution or presentation to stay engaging, and I just wasn’t finding any of that here. Also, it’s just real weird that the pool reflections make everyone look like they’re about to transcend into the next energy phase or something. You’d think someone would have called that out as a bad idea. For all my own love of the water, I didn’t like this. A sports anime has to have a pretty major draw card in order for me to invest, and frankly, I don’t think Dive!! bought anything much to the table. My first problem is that every single character came across as a self-centered jerk. Look, it’s fine to have one or even a couple of characters in any given title that aren’t particularly mature or likeable, but when everyone’s a jerk, it’s kinda difficult to relate no matter how awesome the sport or the skills of the cast. The second and possibly even more pressing issue is that Dive!! just doesn’t look good. The artwork is plain and the character designs themselves just plain unappealing. To be clear, I’m not talking in a fanservicey way – I’m simply pointing out that if you’re going to tell a serious story (and I detected zero trace of irony or self-deprecation here) depicting a bunch of middle and high school dudes with obviously muscular physiques, you better do it right. These characters have bodies that are clearly meant to be ripped, yet their arms look like twigs and their waists are apparently suffering from being permanently corseted. I spent most of the episode trying not to laugh, and the way everyone stood, with their backs arched and their chests out while clenching their hands like they were posing for a superhero comic, did not help matters. Basically, this premiere wasn’t offensively bad, but there was nothing about it that would make me want to recommend it to anyone either. The writing struck me as average at very best, and since there’s nothing in the character or visuals department to make up for that, I see no reason to continue watching. Stay tuned for our First Look!